This is part of Cee’s Compose Yourself Challenge. The topic this week is leading lines, and the part of Cee’s post that was most helpful to me was when she said that these pictures usually have a simple composition, with lines that make the viewer want to move into the picture. I thought of this picture from 2011, as one that would fit the topic. 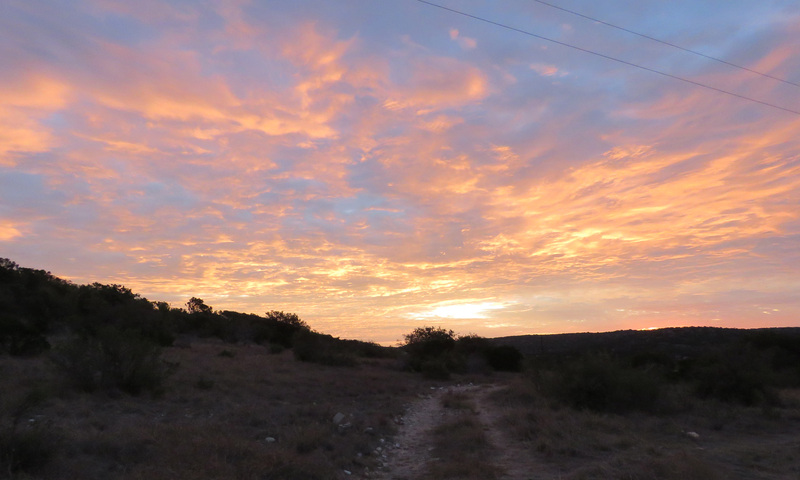 And here is one I took recently in the Hill Country. Ranch road, Edwards Plateau, Texas. I could have pulled more photos from my files, but I like to go out with the challenge in mind and take new photos . I would call the one below my quintessential leading lines photo. I cropped a little of the bland grass in the foreground but otherwise I didn’t change anything. It’s nice, it’s pretty, I like the gently curving lines. Then I started thinking of leading lines in different ways. This next picture is really boring to us humans, but to the gophers who left this trail, I am sure it would be fascinating. These mounds seem like clues the animals left behind to tempt me along. You never know, at the end there might be a huge trap for me to stumble into. That’s probably why the dog barks so furiously when she finds fresh holes, and tries to dig out every gopher; she is just trying to protect me from gopher plots. 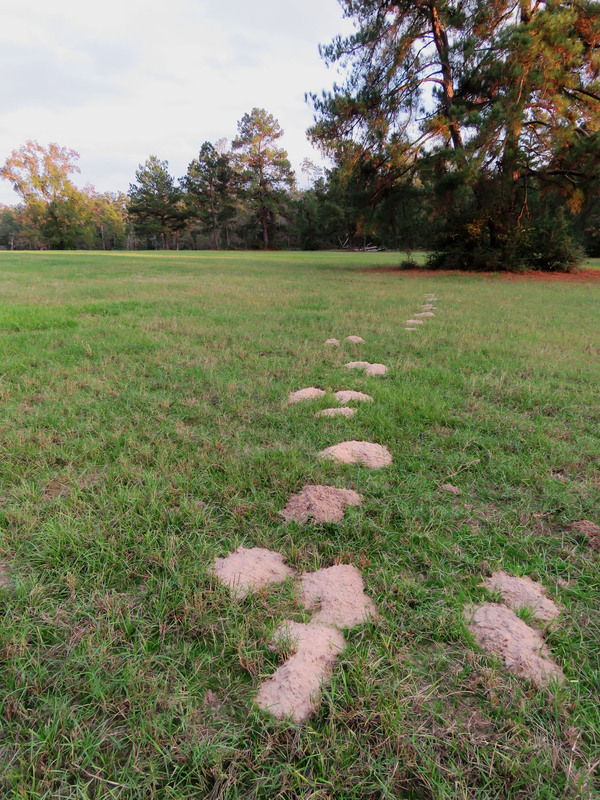 Gopher mounds luring me into the pasture, to find what? Only the gophers know their sinister plan. And during this time, we had a lot of cloudy days. 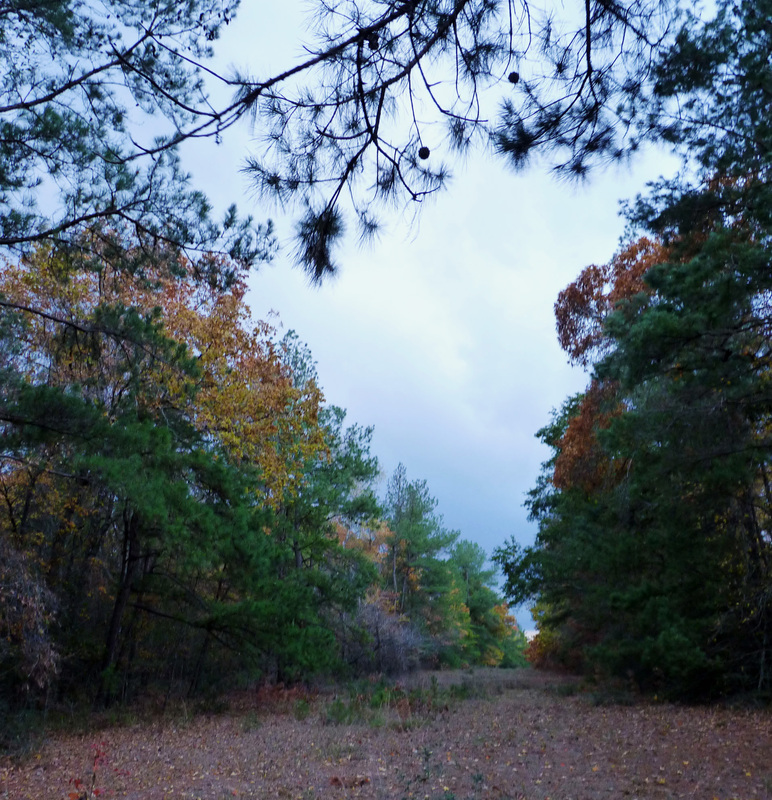 In this picture, I was looking at that gap where the pine tree and the sweet gum are leaning towards each other, and seeing those tree branches as lines leading your eye to the dramatic clouds. 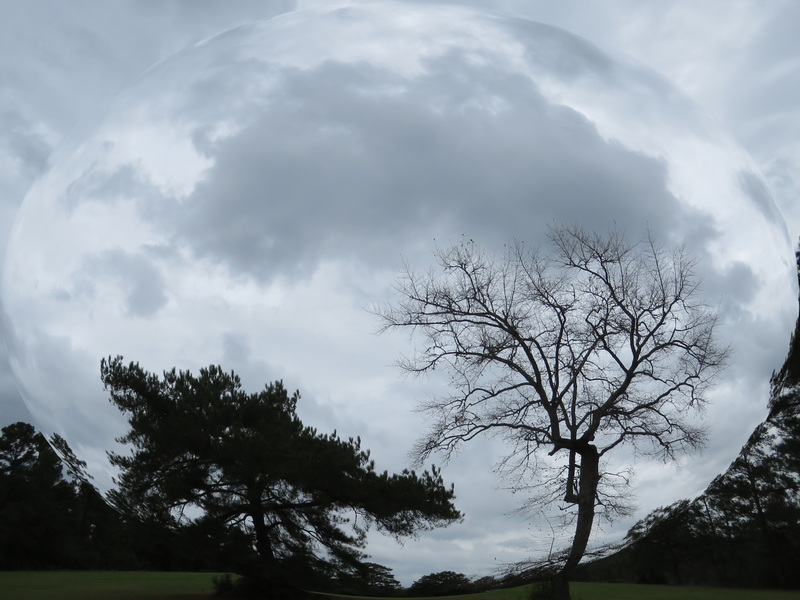 I used the “Spherize” filter, and I really like the effect. Not a textbook example of leading lines, but I am doing the challenge to break out of my ordinary ways of seeing things. Looking at this picture will always remind me of standing in the pasture with the clouds whipping by, waiting for them to blow into the perfect spot. Great entry for leading lines. Thanks for participating. 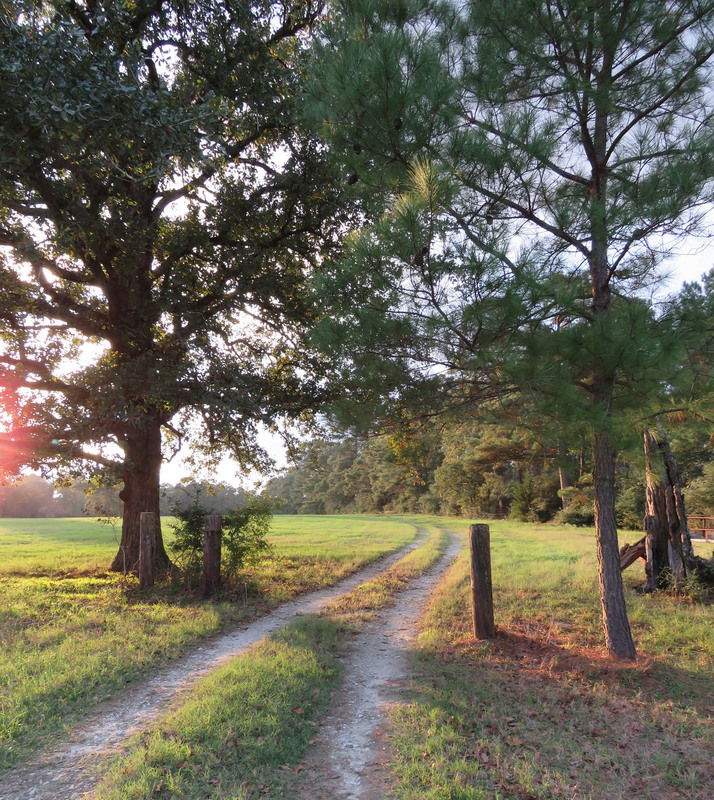 Love, love, love the pic of your road! And comment about sinister gophers! Watch our! They might make it over to your house! Although I know Annie and Zoe do a good job of protecting you from them!